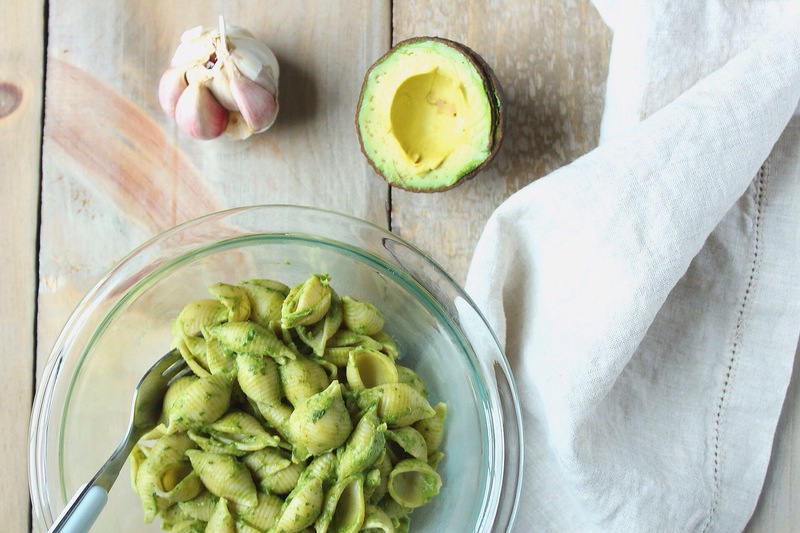 Creamy and healthy pasta sauce made with fresh spinach and avocados. This is an easy week night meal that will get dinner on the table in less than 30 minutes! I could eat pasta all day, every day. Some of my favorite sauces are traditional marinara, a white wine sauce, and just good fashioned cheese! And now, I’m adding avocado/spinach sauce to the list. This recipe is a great family meal and easy to make in advance or right when you want to eat! If you have more sauce than you need, freeze the extra. Pour into an ice cube tray, freeze for 24 hours, then pop out and store in a zip lock bag. Cook shells according to the package. Meanwhile, add all other ingredients to a food processor, blend well. Add to pasta when done cooking.